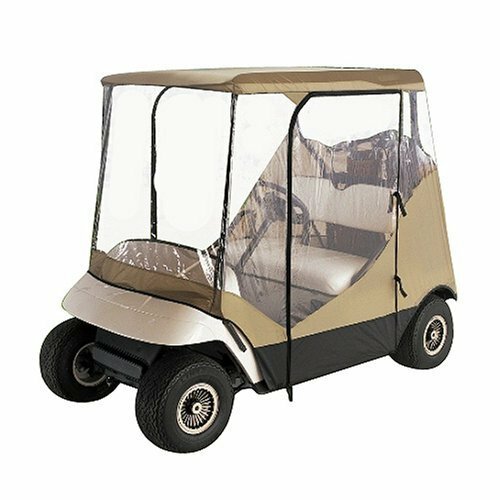 Storage cover with rear access zipper and rear air vents for golf carts with rear facing conversion seating kits. 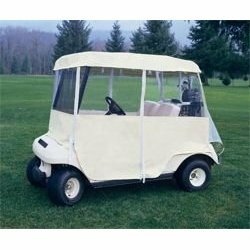 Fits most two person golf carts with added rear facing back seats with roofs up to 60 inch long. Rear zipper for easy entry and installation. Rear air vents reduce wind lofting and inside moisture. Includes reflective piping on cover for low light safety and integrated storage bag.